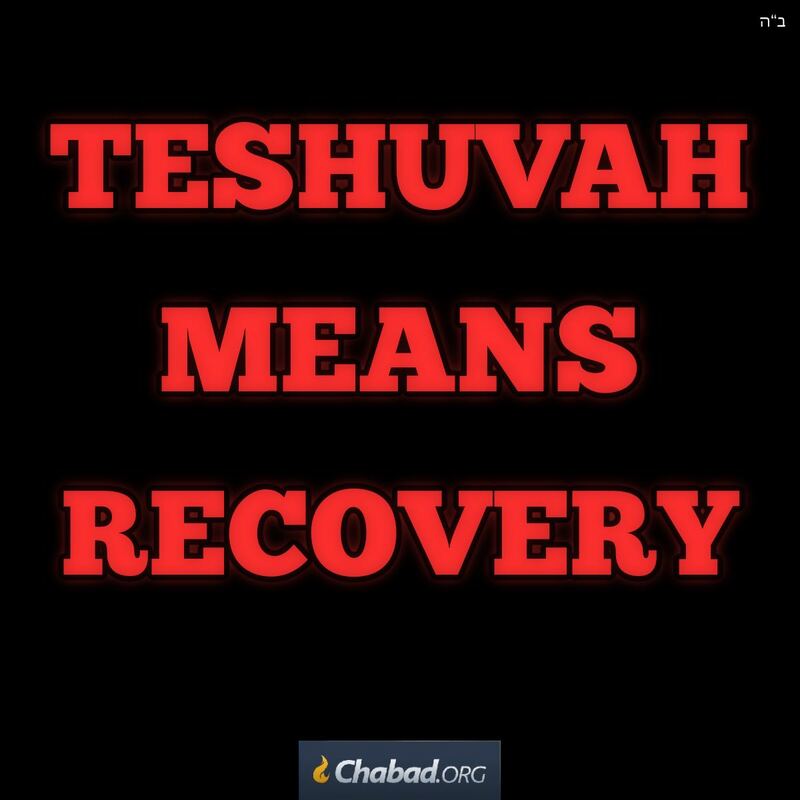 Differences between "return" and "recovery"
I would like to point out that in my understanding recovery does not fully express the concept of Teshuva. Since the term recovery has the implication of replacing something that was missing or ruined. For example recovery relating to health or mental health "He was recovering from his sicness or addiction" Or recovering a lost or stolen item. However the term "return" usually implies returning the same item which was misplaced. Soul Recovery Our soul is sick, asleep, malfunctioning. The organs do not give and receive from each other as in a healthy body. The Kabbalists have the remedy. Only the Light knows how to reconnect the parts! They prescribe how to attract the 'Medicine', the Light. Then when we have the heartfelt intention to be as one man, one soul, with His Light flowing between us, we will feel the life of our soul! definition I thought repentance meant "return". Never heard the word narrowly defined as "regretting" to the exclusion of "return"
It seems as one returns there will be moments of feeling regret for past actions and behavior. I wonder if the fullness of teshuvah is best when all its characteristics are present. "Return" can include "regret", when relating to sin. However as explained in Chassidus there is a Teshuva "return" without regret which is the idea of the neshama reconnecting and returning to Hashem. The need to return is not because it has sinned rather ecause it was distanced from Hashem being in a physical world and body. That is why we specifically translate Teshuva "return" which includes both types of Teshuva. Whereas "regret" is associated with wrongdoings.